How far away is Denali? On a clear day you can see Denali, once known as Mount McKinley, from Anchorage. 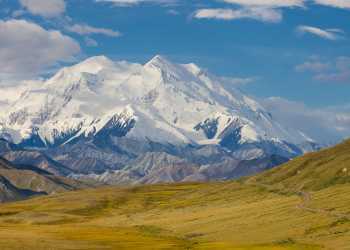 North America&apos;s tallest mountain is located in Denali National Park, a four to five hour drive from Anchorage or an eight hour train ride. But if getting a good view of the mountain is all you&apos;re after, consider taking a flightseeing tour. Are you looking for the best way to get to Denali National Park from Anchorage?